On the one hand, my Evangelical brothers and sisters seem to make the Bible an idol, never questioning it, and more devastating, never questioning their own interpretation of it. I find that this leads to a shallow relationship with the Bible, never getting to know it intimately lest they see it in all its confusing nakedness. It is to remain at arms-length in case a closer look would force us to knock it off its idolatrous pedestal. On the other hand (or should I say, the same hand), my progressive brothers and sisters seem to make the Bible un-inspired, a relic of religious yesteryear, now too full of holes to keep us grounded. This may sound like the opposite of the evangelical belief, but I have found that it leads to the same posture toward the Bible.  This practice too leads to a shallow relationship with the Bible because at the first sign of its “confusing nakedness,” the Bible is often dismissed and no longer considered authoritative. Instead of a marriage where intimacy never happens for fear of divorce, here intimacy doesn’t happen because divorce comes at the first sign of discomfort. But, as we have seen in our Jewish friends, this is a false dichotomy. It is precisely our reverence and intimacy with the text of Scripture that earns us the right to question it and struggle with it. It is not my acquaintances that I confront, question, or struggle with, it is my wife and most intimate friends. As Derrida would say, it is only when we become profoundly respectful of the text do we earn the right to dis-respect it. Or as Westphal would say about interpretation, only when we are experts at musical theory can we improvise. I am allowed to dig, question, and perhaps observe the deconstruction, because of my unconditional commitment to the Scriptures as the anchor of my faith, no matter what they say and no matter how much I do not like it, perhaps even no matter how much I disagree with it. Intimacy comes because there is no question of my continued relationship with the text. It will be my anchor no matter how ugly it gets. So, to my Evangelical family members I say I am sorry, I cannot go with you in your often too-shallow relationship with the Bible that does not allow you to ask the hard questions of it, to confidently point to its problems, issues, and confusing messages. I hope that we all grow in our confidence that the Bible we have is the Bible God wants us to have, warts and all. But to my Progressive family members I say I am sorry, I cannot go with you in your often too-shallow relationship with the Bible that allows you to dismiss it because of its problems, issues, and confusing messages. I pray that we call grow in our belief in the book of our tradition, that it is worthy of belief, warts and all. *This is of course a gross over-generalization. There are so so so many exceptions to this on both sides. I only use the label “Evangelical” and “Progressive” as an easier way to talk about the concepts themselves, not to label or pigeon-hole.